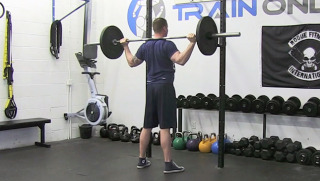 Start in a standing position while gripping the bar across your shoulders. 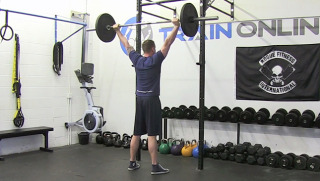 Stay tight through your lower body and core as you pres the bar over head and fully extend your elbows. 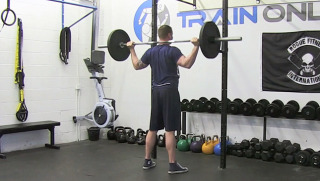 Lower the bar back down to your shoulders with full control and then repeat.